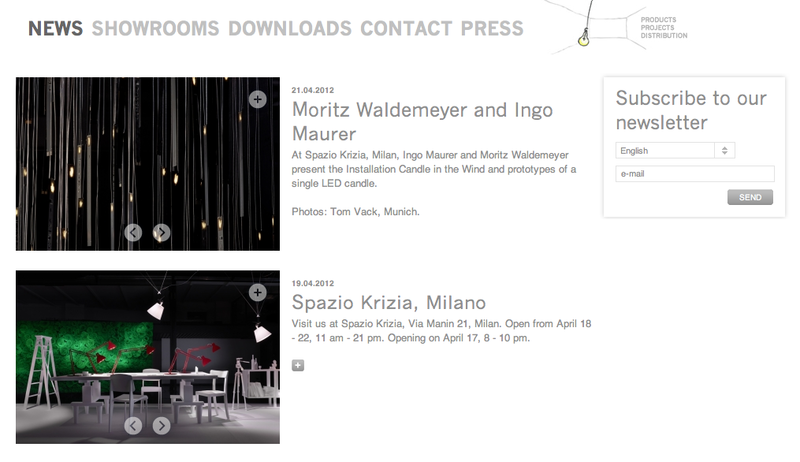 The installation “Candles in the Wind” fascinated many of our visitors in Milan this spring. The lighting object made from 100 LED “candles” is a collaboration between Moritz Waldemeyer and Ingo Maurer. At the upper end of the circuit board, a rectangular matrix made of 128 LEDs renders a flickering candle flame. Each of the 100 candles has been programmed to produce an individual, smooth rhythm of movement. This autumn, the single table version will be available. The slim circuit board is placed in a base plate, which also serves as a container for the batteries.